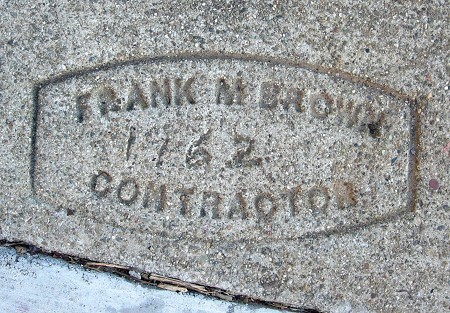 If there were an Oakland Sidewalks Hall of Fame, Arthur Moniz would be in it. 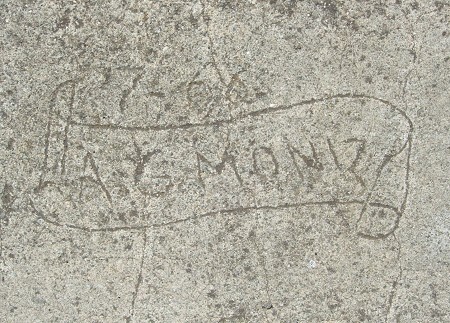 This has about a dozen guys’ first names on it along with the Masons seal in the right corner and the date in the left. If there was any doubt about the date of yesterday’s mark, this one erases it, giving Brown an impressive range from 1930 to 1962. 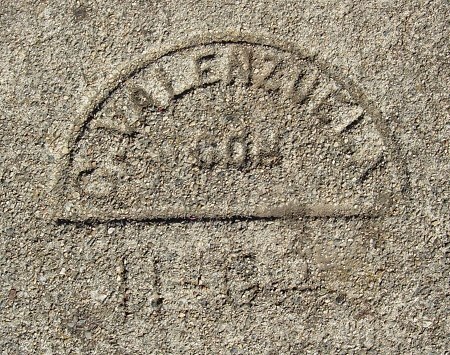 The sixties were kind of a lost decade for C. Valenzuela, so I’m always glad to see a mark from those years. 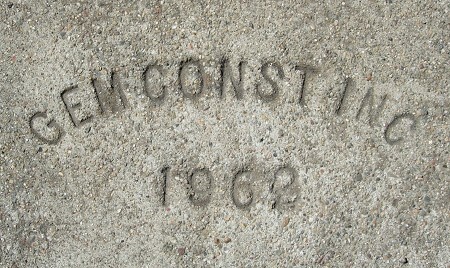 1962 – Gem Const. Inc. This is also known as Joe Morgan Way. 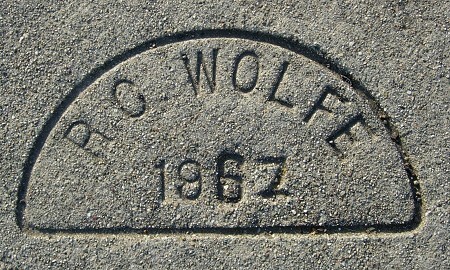 It is so rare to find a dated mark, or any mark at all, in the concrete around freeways that I’m often tempted to skip them entirely. And yet here’s one with a coveted 1960s date.